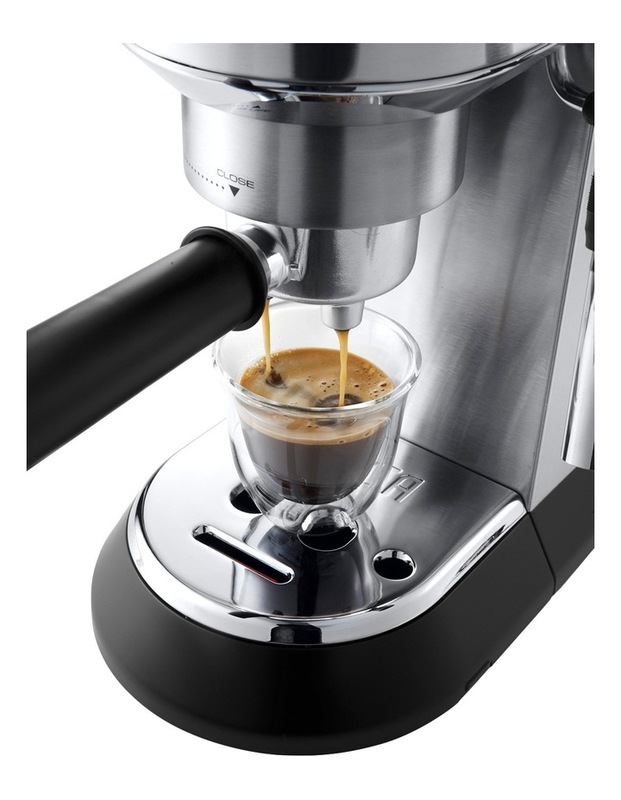 The DeLonghi Dedica manual coffee machine connects two essential elements of design: form and function. The slimline design is simple and elegant, whilst product innovation delivers a professional caf style coffee. 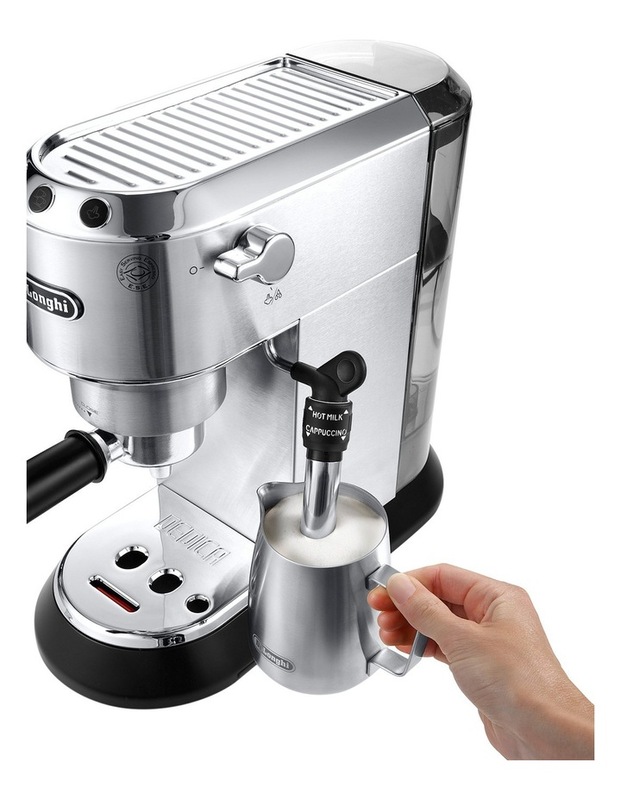 It features a simple and intuitive control panel with backlit buttons, thermoblock heating system, self-priming system, and the new adjustable steam wand to produce the ideal level of froth. The professional filter basket is equipped to accommodate both freshly ground beans or Delonghis E.S.E. Pods, the machine is easy to use and provides the user with a full barista experience. 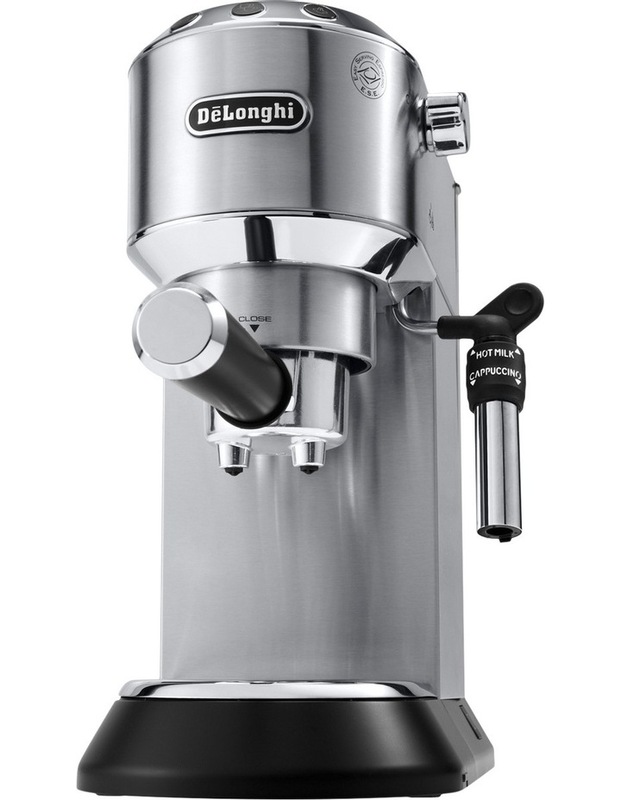 At only 15cm wide, the DeLonghi EC685 Dedica Style boasts a sleek design for minimalist kitchens, and allows you to handcraft your perfect coffee in minutes thanks to its range of superb features.